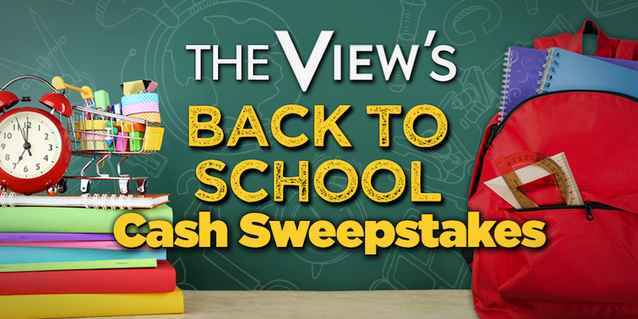 ABC The View brings you the The View Back To School Cash Sweepstakes where they will be awarding $5,000 in cash prize to one lucky winner to help rock the back-to-school year from The View. How To Enter: During the view sweepstakes period go to this link and follow the online instructions to register by entering all information requested on the registration form and once you filled out the entry form now Click on the Enter button to complete the registration form. Prizes: One grand prize winner will win a check in the amount of $5,000 from Sponsor (or its parent company) within six (6) weeks of receiving completed paperwork from winner. When To Enter: The ABC The View’s Back To School Cash Sweepstakes entry begins at 11:00 AM Eastern Time (“ET”) on July 16, 2018 and ends at 11:59 PM ET on July 17, 2018. Who’s Sponsor: The ABC The View Sweepstakes is sponsored by American Broadcasting Companies.